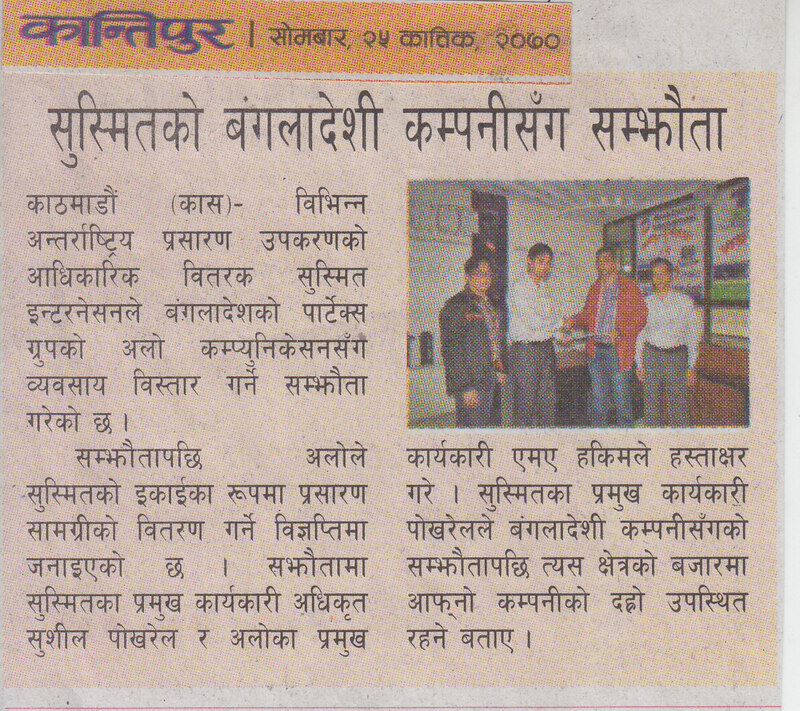 Sushmit International, authorized distributor and system integrator for several international reputable brands in the broadcast market of Nepal and Alo Communication, a venture of Bangladesh based Partex Group has signed MoU on Sunday. According to the MoU, Alo Communication will work as a unit of Sushmit International expanding the trade in Bangladesh. Speaking at MoU signing ceremony, Sushil Pokharel, CEO of Sushmit International said that the agreement with Bangladesh based company was part of the company’s strategy of extending its network in South Asia region. “This tie-up has increased our network and has made us capable to serve customers better,” he added the company was soon going to sign other MoU with a company in Myanmar. Likewise, M.A Hakim, CEO of Alo Communication expressed hope that the MoU with Sushmit International was going to help them to provide cost effective solution along with quick after sales service support, which he said would enhance the broadcast industry of Bangladesh.